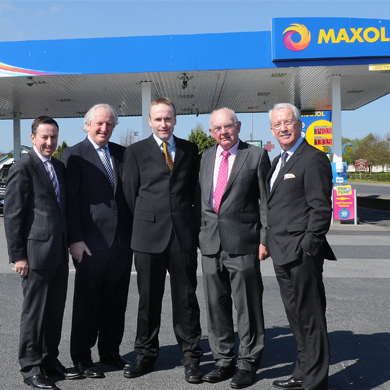 We are pleased to announce that Maxol has completed the purchase of Chawke's Service Station in Castletroy on the outskirts of Limerick. Rebranding of the service station to Maxol begins immediately and it is another fine addition to the Maxol network. In 2014, Chawke's won the Shelflife Magazine's coveted National Convenience Store of The Year for its impressive Centra convenience store in the 4,000 – 8,000 sq. ft. category. The business will continue trading during rebranding works under the stewardship of the experienced Tom Duggan, who is the new Maxol Licensee. Tom Duggan was the Manager of the business and has worked for 15 years with the former owner of the business Tom Chawke. You can view the station on Google Maps here http://goo.gl/G74hPB and we look forward to sharing some photos of the reimaged Maxol site in the coming days. We are proud to also report that this is brings the total number of Maxol company-owned stations to 102 throughout Ireland.